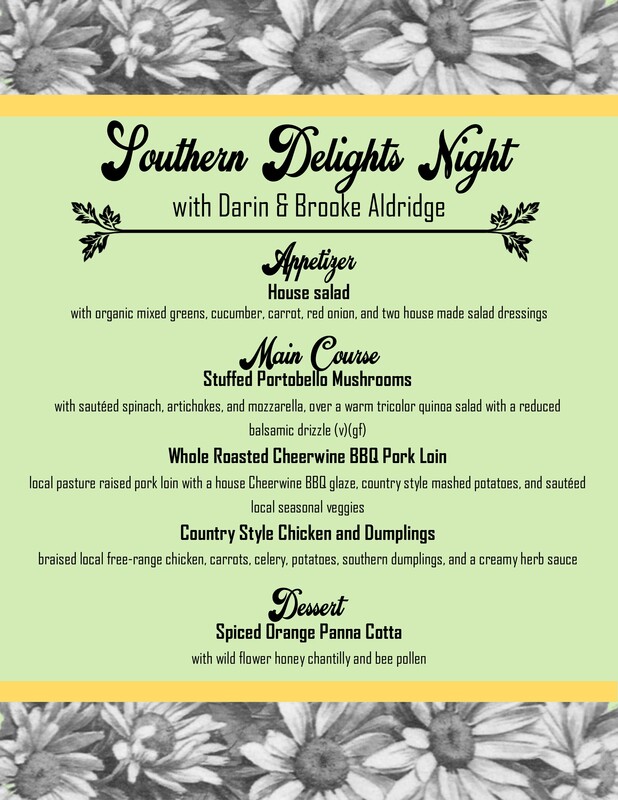 Enjoy a night out at the Earl Scruggs Center with dinner and a show! 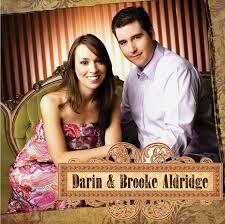 Join us for a concert with Darin and Brooke Aldridge and a three-course dinner by the chefs at Bleu Barn Bistro. Seats are limited and ticket sales end March 28. Husband and wife duo Darin & Brooke Aldridge draw on the traditions of their native North Carolina, the savvy of a young, gifted band and their own dedication to ingenuity to create the most adventurous album of their career with their latest critically acclaimed release, Faster & Farther. The duo has placed several tracks at the top of the charts on Americana/Roots, SiriusXM, Bluegrass and Gospel charts. They have received multiple nominations from the International Bluegrass Music Association (IBMA) the Society for the Preservation of Bluegrass Music of America (SPGBMA) and Inspirational Country Music (ICM). Both highly acclaimed vocalists in their own right (Brooke is the reigning IBMA Female Vocalist of the Year and nominated again this year), Darin and Brooke combine rich harmonies with impeccable musicianship to create the unmistakable sound that has made them one of the hottest young acts in acoustic music and they’ve surrounded themselves with a band of equally amazing pickers. Darin spent 6 years as a member of the acclaimed County Gentleman and is a highly sought-after multi-instrumentalist. Brooke has been lauded for having one of the most powerful voices in music of any genre. 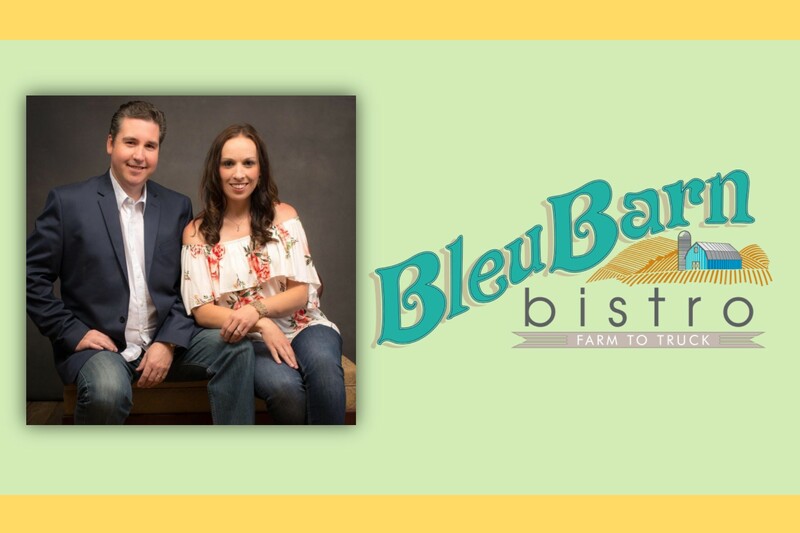 Bleu Barn Bistro began as the love child of Chef Tara Diamante and Chef Brenton Ebersold in May of 2014. Both Chefs have always enjoyed the seasonality of food and the freshness that this area has to offer. After meeting at Johnson & Wales in late 2008, they kindled a complimentary cooking style along with a vast variety of techniques and expertise. Chef Tara began cooking early in her life in Lake Mary, Florida at Chef Voila, where she also taught culinary classes. After moving to Charlotte, NC, for culinary school, she dominated the city with her wide variety of culinary experience. Not only does she offer previous food truck experience, she spent time with a high-end catering company, worked on a farm and assisted with opening a local restaurant. Chef Brenton began his career at 121 Main in Clinton, SC. While attending Presbyterian College, he also cooked at The Garden Cafe’ in York, SC. After graduation, he quickly realized his heart was not in computer science and enrolled at Johnson & Wales University. He since has worked in a wide variety of restaurants and catering companies, developing a comprehensive appreciation of cuisine. 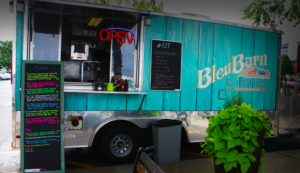 Once the plan was set in motion, Bleu Barn Bistro quickly matured. Since hitting the streets, Chef Tara and Chef Brenton continue to produce high-quality food that highlights the natural flavors found in locally-sourced ingredients.